4.3" TFT-LCD Screen with High Quality Picture and Sound. Long distance up to 800 ft. and privacy wireless transimission. Two cameras paired, select disignated or auto-scan all. Support up to 4 cameras total. Two-way talk. Parent can talk back to the camera. 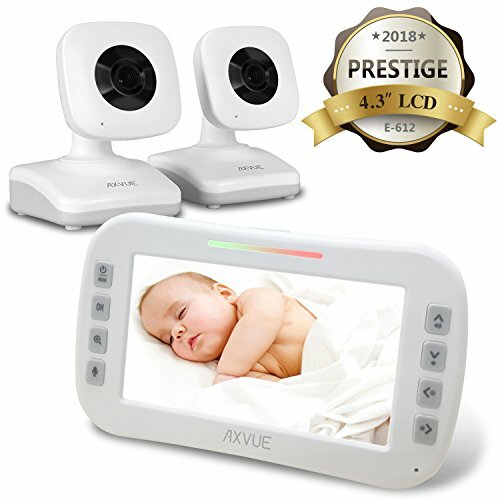 If you have any questions about this product by Axvue, contact us by completing and submitting the form below. If you are looking for a specif part number, please include it with your message.